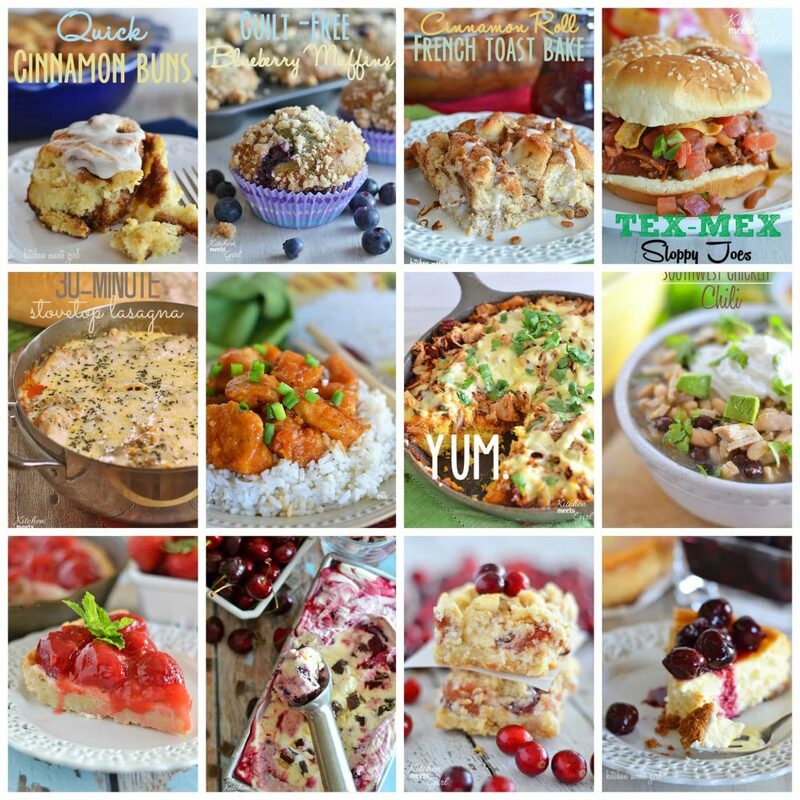 I did a lot of cooking and baking in 2013, and now that the year is over, I thought I’d show you what my favorites were. 1. 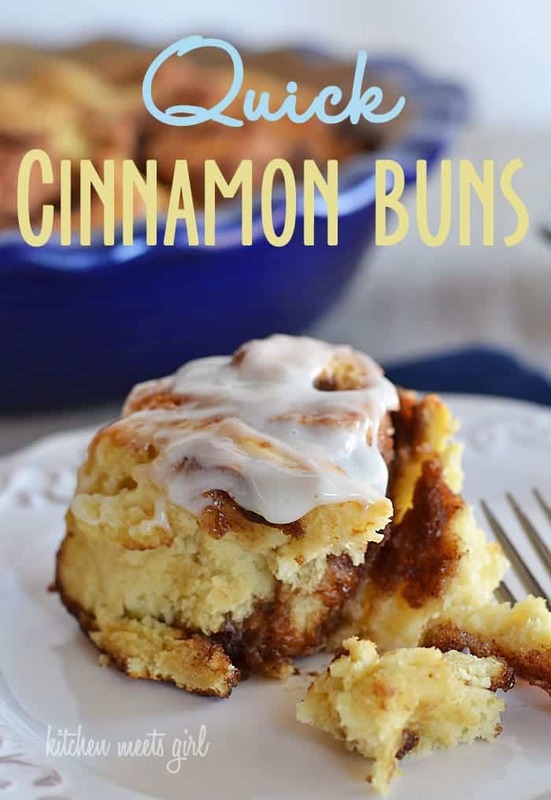 These Quick Cinnamon Buns are one of the Tall Boy’s most requested breakfast items. They really are so quick and easy! 3. 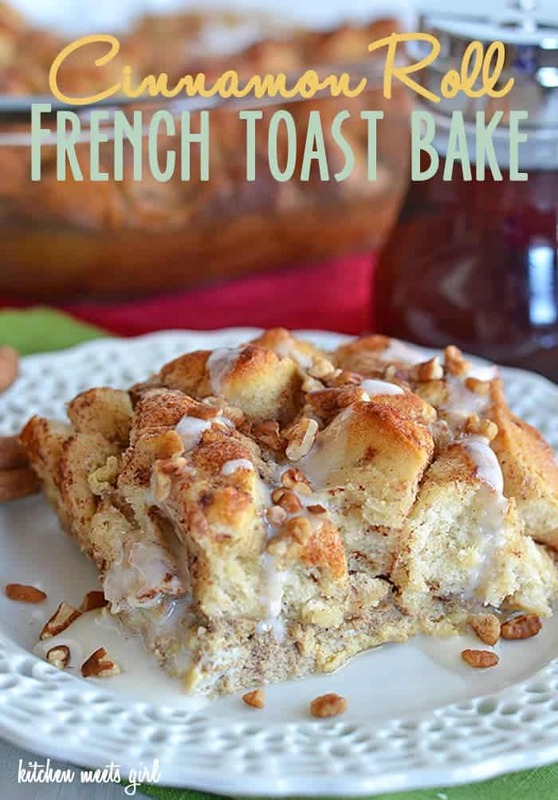 This Cinnamon Roll French Toast Bake is definitely a breakfast made for a special occasion! Bonus? It’s super easy! 4. With a 6-year old, we eat a lot of sloppy joes. 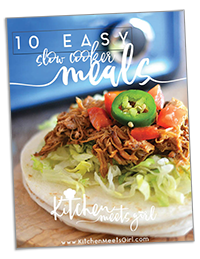 This Tex-Mex version is adult approved! 5. 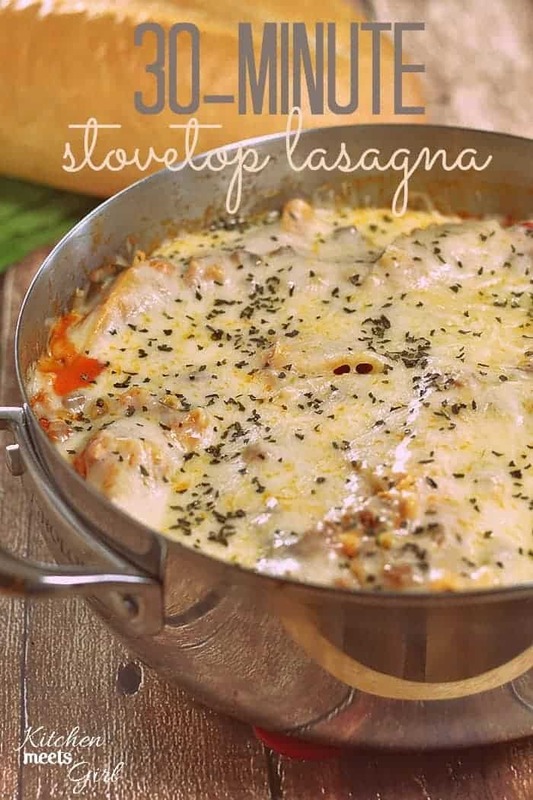 And who wouldn’t go for lasagna in just 30-minutes? The Tall Boy flipped over this dinner! 6. 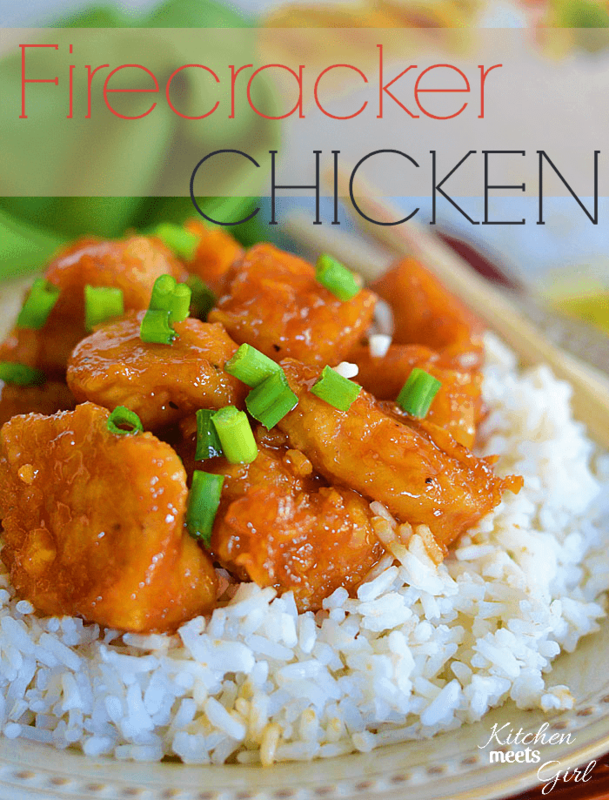 This Firecracker Chicken is my favorite dinner, ever. Period. 7. You know I love my Mexican food. 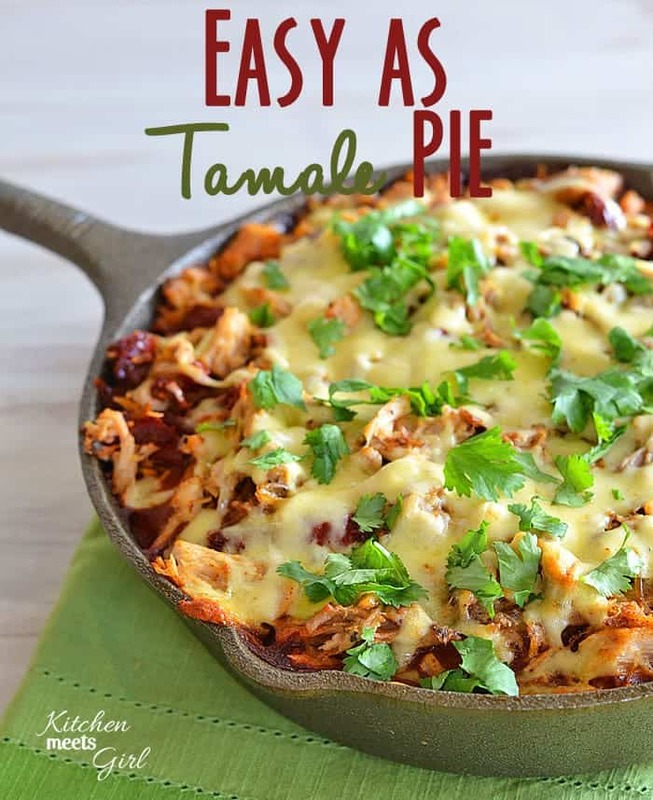 This Easy as Tamale Pie was a fun twist. 8. 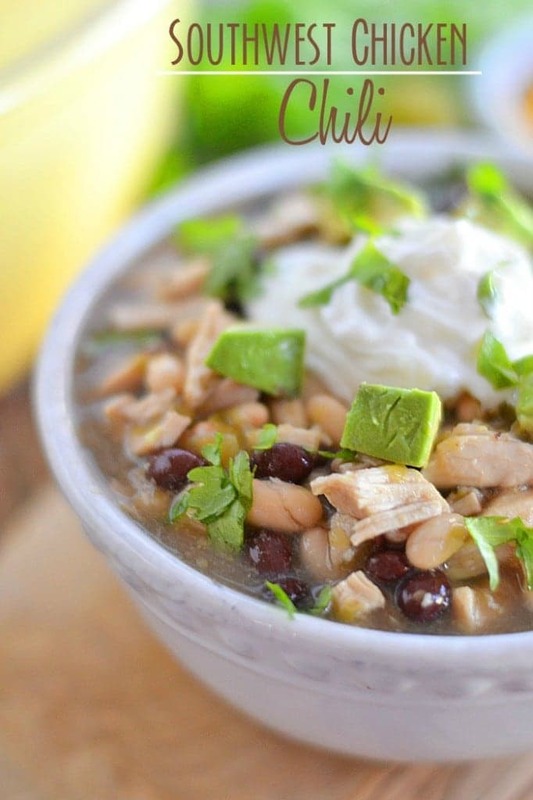 This easy, flavorful Southwest Chicken Chili uses only a handful of ingredients and comes together in about 15 minutes – making it the perfect weeknight dinner! 9. 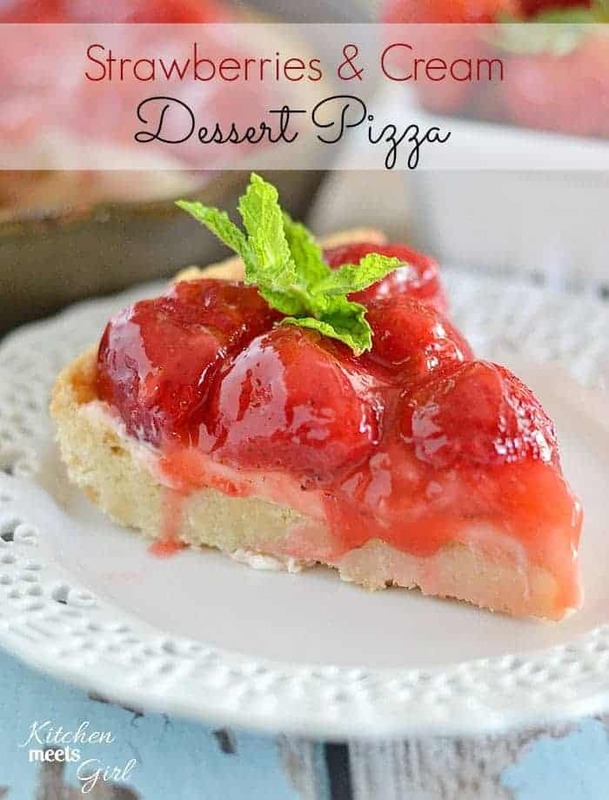 Strawberries and Cream Dessert Pizza combines all of my favorites in one decadent treat! 10. 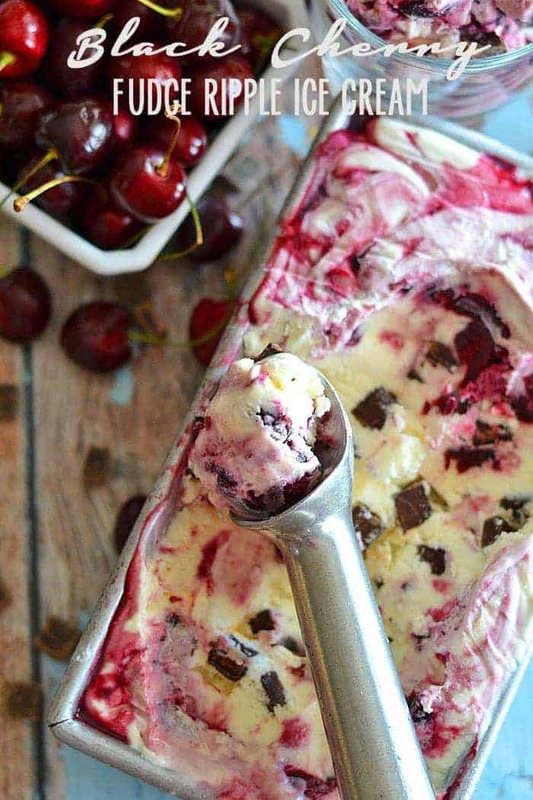 This Black Cherry Fudge Ripple Ice Cream doesn’t require an ice cream maker. Score. 11. 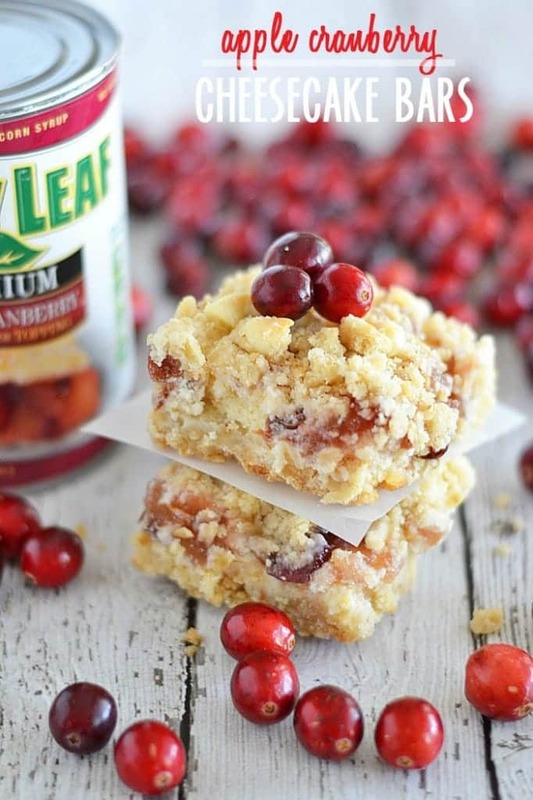 White chocolate, cream cheese, and pie filling are the perfect combination in these easy to make Apple Cranberry Cheesecake Bars. 12. 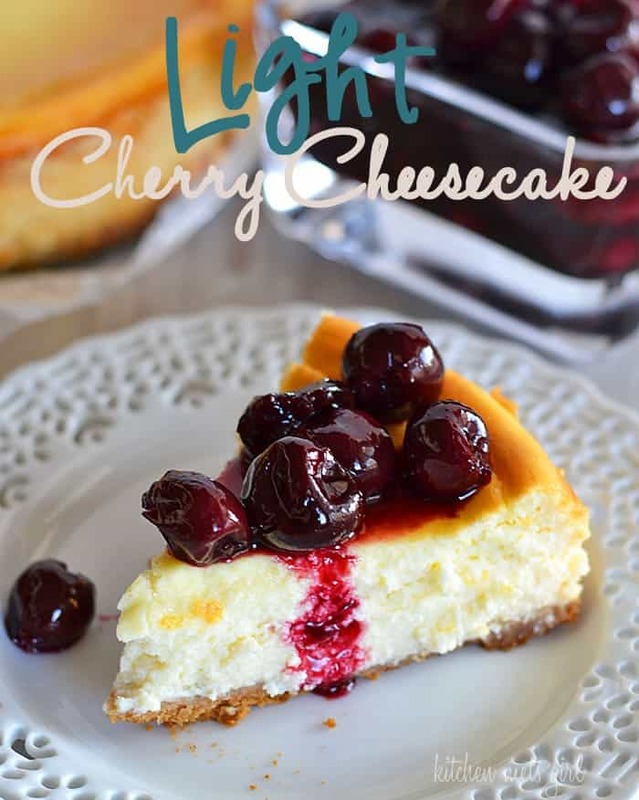 Perfectly light and creamy cherry cheesecake – you’ll never guess the secret ingredient in this recipe! (Pssst…it’s cottage cheese). Thanks for reading, everyone, and have a wonderful New Year! 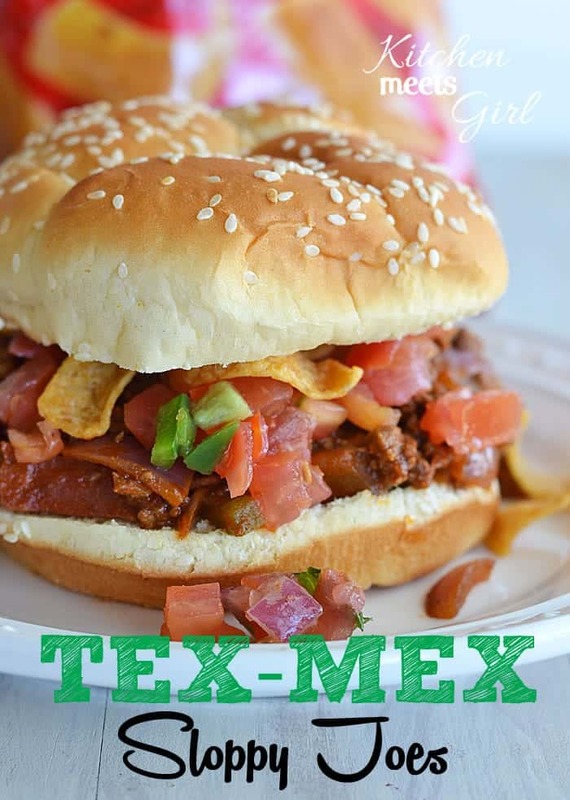 that tex mex sloppy joe looks awesome! 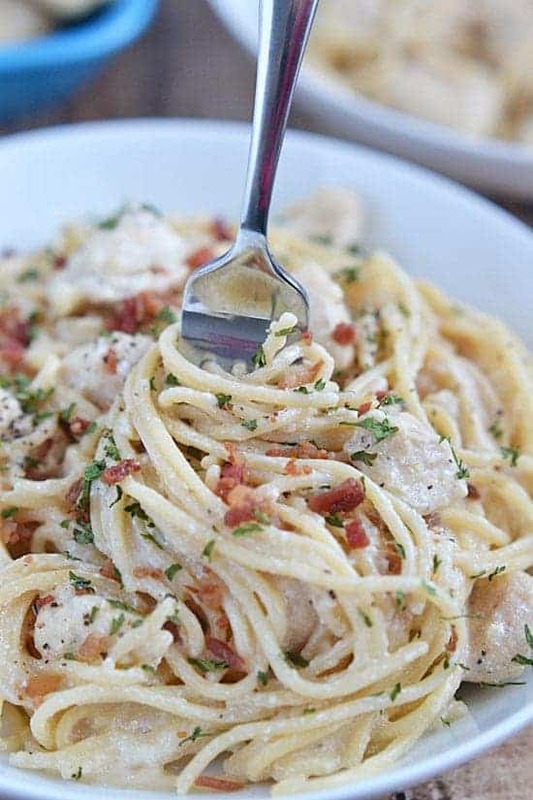 Definitely on my to try list! 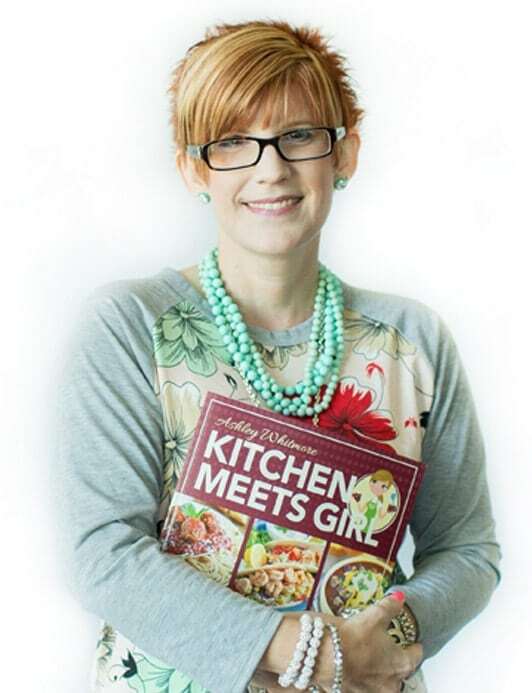 Congrats on a successful blogging year! I’ve just started, do you have any advice for a beginner like me? 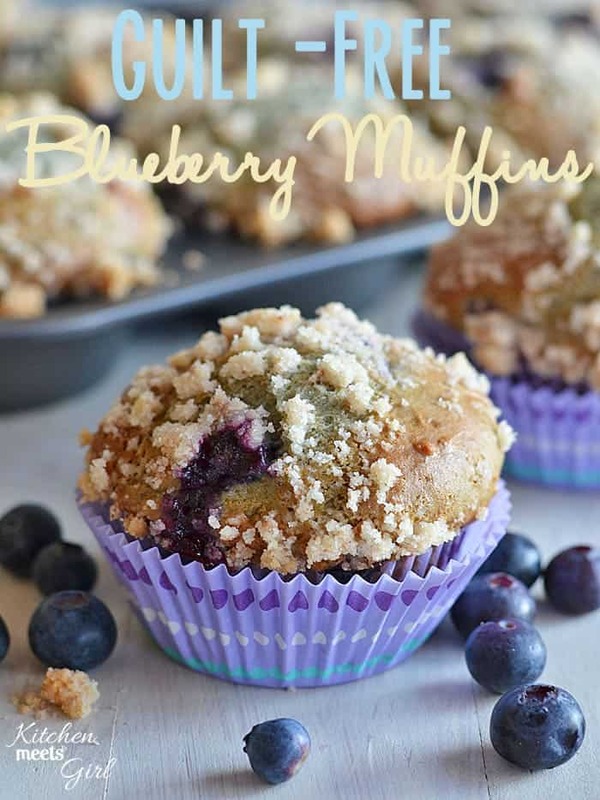 These all look delicious! Your photos are amazing! Happy New Year! 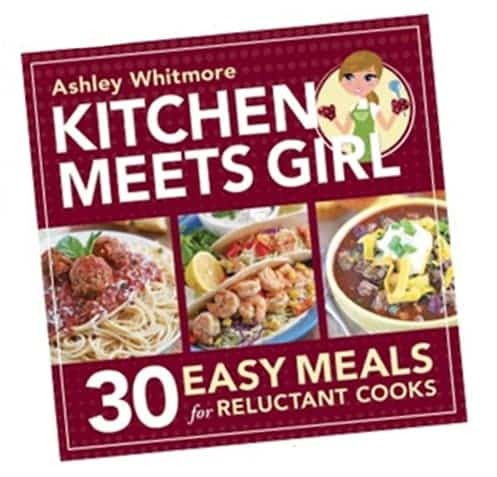 All of your recipes look so delish. Do you have a good white chocolate, cranberry, with macadamian nut cookie recipe? I’ve been looking for one for some time since those are my favorite. Thank you.